Palmerbet Sports Team have A-League tips for every game from Week 18, culminating in a top-of-the-table barnburner between Melbourne Victory and Perth Glory. Final Thoughts: The seventh-placed Newcastle Jets have won two of their last three games and can start putting a little bit of pressure on the sixth-placed Wellington Phoenix with a win in the Week 18 opener. After scoring just two goals in their previous four games, the Jets released the attacking shackles with a 5-1 demolition of Wanderers last Friday. Roy O’Donovan finished with a brace after the Jets had steamed to a 3-0 halftime lead. The Phoenix received a reality check courtesy of a 3-0 loss in Perth on Saturday, their second loss in three games after their record-breaking nine-game unbeaten streak. The absence of Andrew Durante, Steven Taylor and Mandi clearly hurt Wellington. But they remain eight points clear of the Jets. Wellington have won four and drawn one of their last seven against Newcastle. The Phoenix prevailed 2-1 at home in the opening round this season and bagged a 3-2 upset in their last visit to the Hunter last season. The teams’ recent results swings have propelled the Jets into warm favouritism, but the Phoenix still hold the value in this clash. Final Thoughts: Just when the Brisbane Roar’s dismal campaign didn’t seem like it could get any worse, they bottled a 3-0 halftime lead and lost 4-3 to Adelaide via a stoppage-time goal in Week 17. The loss extended their winless streak to 12 games. Sydney FC responded to their ‘Big Blue’ loss to the Victory with a clinical 2-0 win over Melbourne City last weekend. Luke Ivanovic and Adam le Fondre scored against City as the Sky Blues kept their third clean sheet in four games. The Roar have won just one of their last seven against the Sky Blues, but have managed two draws in their last three at home against the heavyweights. Sydney FC got up 2-1 at home earlier this season. Brisbane have lost eight straight to teams currently in the top six. Sydney have won six and drawn one of seven games this season against bottom-four opposition. It shapes as an enjoyable night at the office for the hosts. Final Thoughts: Eighth-placed Western Sydney are in a massive hole, trounced 5-1 by the Jets in Week 17 as their winless run stretched to an agonising 10 games. Wanderers have leaked 20 goals in their past six games to join the Mariners as the worst defensive team in league this season (40 goals conceded). Bottom-placed Central Coast know all about extended winless streaks and are in danger of piecing together another long losing streak, crashing to their third straight defeat last weekend. The Mariners went down 3-2 to the Victory after leading 2-0 at halftime. Wanderers are on a three-match winning streak against the Mariners, including a 2-0 home victory in December. Central Coast have won just one of their last 10 against WSW. Picking a winner from these stragglers isn’t easy and the Mariners are tempting as $4.50 underdogs, but the over looks the best play: five of Wanderers’ last six games have produced four goals or more, while four of the Mariners’ last eight have seen totals of five-plus. Final Thoughts: Adelaide United moved up to fourth place last weekend, but on Saturday they are hosted by a Melbourne City team hell-bent on taking that spot back. Flying under the radar somewhat, Adelaide have lost only one of their last nine games. They staged an amazing comeback in Week 17, overturning a three-goal lead against the Roar and snatching a 4-3 win via Nikola Mileusnic’s 97th-minute winner. Melbourne City, meanwhile, have won just one of their last five and were blanked by Wellington (1-0) and Sydney FC (2-0) in the past fortnight. Melbourne City boast four wins and a draw in their last five clashes with Adelaide. City snared a 2-0 away win in December, while United were subjected to a 5-0 thrashing at AAMI Park last season. Narrow underdogs Adelaide’s superior recent form can’t be ignored, but their dismal record in Melbourne – losing seven of their last eight away to City and the Victory – is a concern. A draw would be a solid result for both sides here. 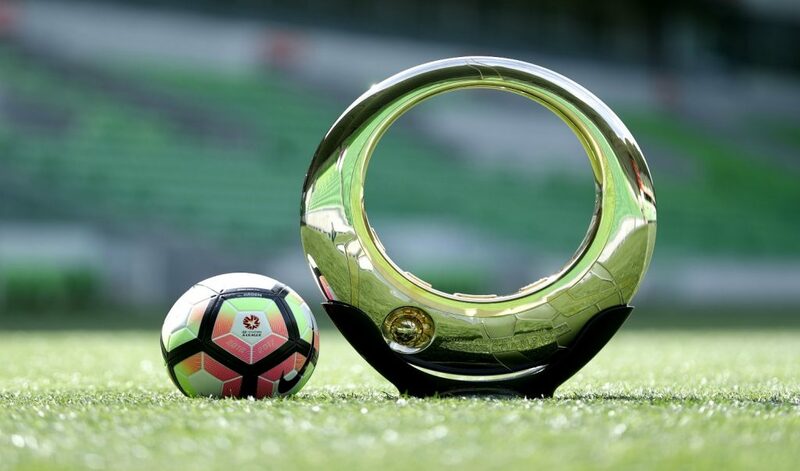 Final Thoughts: Week 17 concludes with an absolute blockbuster between the A-League’s top two teams, with Melbourne Victory looking to close to within one point of leaders Perth Glory. Both sides bring outstanding form into the clash. The Victory have lost only one of their last 15 and have won four and drawn one of their last five, running down the Mariners 3-2 last Saturday after trailing 2-0 at the break. James Troisi has scored in three straight games, while Kosta Barbarouses and Ola Toivonen have goaled three times in their past four outings. The Glory have just one loss against their name this season and boast six wins and two draws from their last eight games. They have kept four straight clean sheets, including wins over Newcastle (3-0) and Wellington (2-0) at home in the past fortnight. The Glory made an early statement this season with a 3-2 away win over the Victory. Perth have won five and drawn two of their last 10 against the Victory. This is just the Glory’s second away fixture in seven games, and the home-ground factor could be crucial for a Victory side that has won five and drawn two of their last seven at AAMI Park. But we’re counting on a hard-fought encounter that finishes with honours shared in a potential grand final preview.